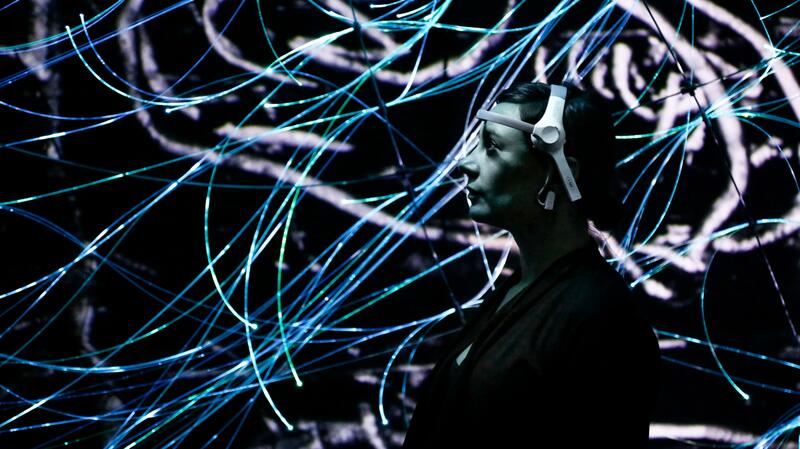 CAVE is a collaborative, interdisciplinary artsci installation that merges the mind of 35,000-year-old cave art with state-of-the-art brain research. 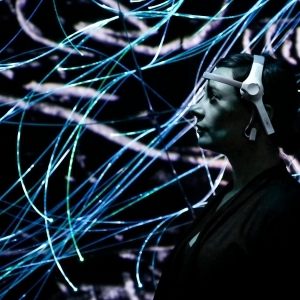 The installation is an interactive, multisensory work in which viewer-participant (VP) brainwaves (through the use of current neurofeedback technology) generate light and sound in an immersive filmic and sonic environment that echoes cultural memory and connects our most rudimentary tools with our most technological ones. The VP informs and becomes part of the artwork, thus blurring the perceptual boundaries between creation and sensation, and unifying the internal and external cave.